People have always used stories to teach and to remember. 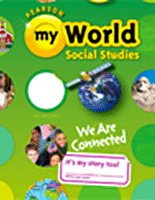 Welcome to myWorld Social Studies™ for Grades K-5. Learning comes alive through storytelling, literacy instruction, and flexible resources. Stories from our world engage students and help develop thoughtful, literate citizens. Lessons apply inquiry processes, practice reading and writing, and involve collaboration and communication skills. 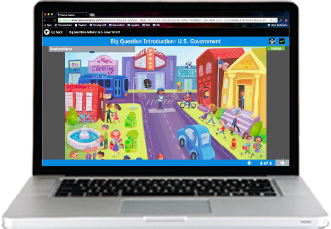 Blended learning experiences include an interactive Student Worktext and digital courseware. Share the story of our democratic ideals, communities, and people! 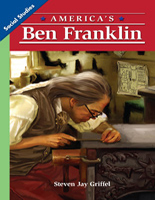 Reading, writing, and storytelling bring social studies content to life. 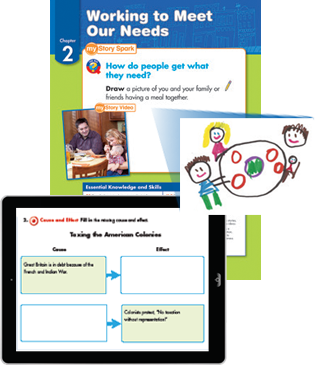 Connect social studies content and literacy instruction every day and every minute. Songs and videos, digital eText, hands-on activities, and digital game-like practice make learning experiential. 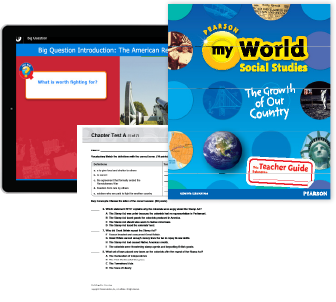 myWorld Social Studies motivates learners and connects them to the real world. Flexible resources help teachers differentiate instruction, manage instruction, and customize assessments. 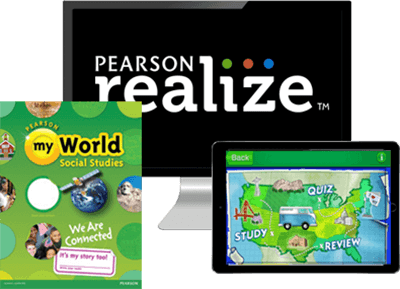 Upload content, rearrange it, add links, and access the entire program on PearsonRealize.com. 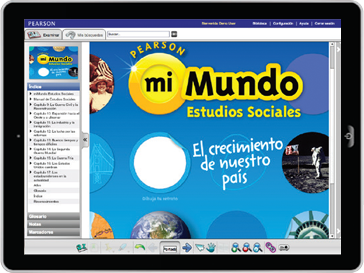 mi Mundo Estudios Sociales gives Spanish-speaking students access to the same content as their English-speaking peers. The Student Work text is available in Spanish and English, in print and online.